Where can I find the PA Meagan's Law website? What is the holiday schedule for the City of Harrisburg? How do I file a complaint against a city worker? 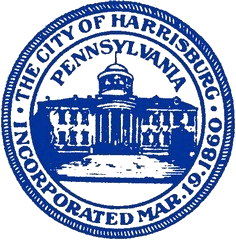 Where can I find a list of the Codes and Ordinances for the City of Harrisburg? Who do I speak with about County Real Estate Taxes/Payment Plans? Who do I contact about animal control? Who do I contact about animal licensing? Who do I speak with about building permits? Who do I speak with about the trash schedule/pickup? How do I get furniture picked up and/or disposed of? How do I schedule a bulk pickup for trash? Who do I speak with about mercantile taxes?